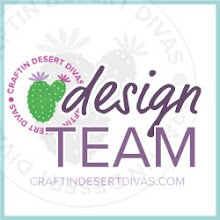 DT Susan here with tutorial blog post on easel cards for Craftin Desert Divas! I decided to try easel cards since I had never made one which is shocking considering I have been stamping for about 20 years! I also decided to try no line or light line coloring with Copics. 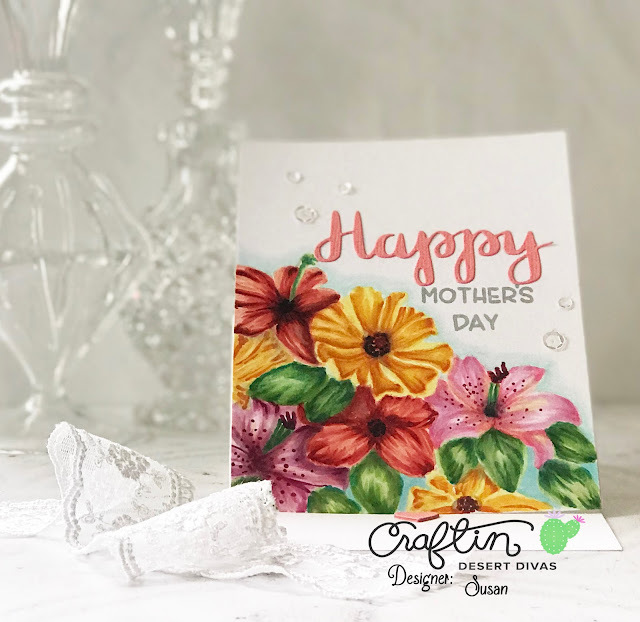 I wanted to get my Mom's Mother's Day card made way ahead of time since I am always scrambling at the last minute to make one for her. I have also uploaded a You Tube Video. 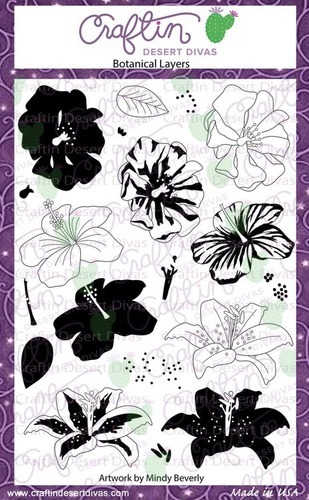 For my main stamp set I used Craftin Desert Divas' Botanical layers and I just used the outline images. 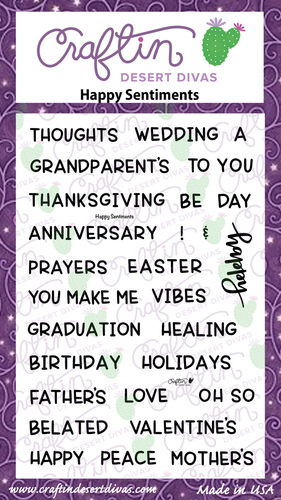 Here is the card I made! First, I cut a piece of 110 pound card stock to 4.25 x 11. I scored this at 5.5". Then I scored at 2 3/4" to make the fold for the easel card part. 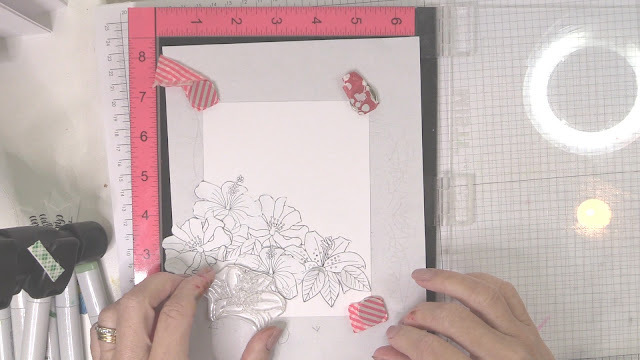 Then I started my stamping using a light colored die ink, my images, and my Misti. I pre-cut the masks from Eclipse Masking Tape. I could not find my Distress Ink Antique Linen and this is usually the perfect color for no-line coloring. I then adhered some adhesive from my tape runner to the bottom of the easel fold and attached my card panel to that. I then adhered a stack of hearts to hold up the card front like an easel does. Supplies are listed and linked below. Thank you for visiting and I hope you liked the card. Double check on the video- I may have missed "a few" lol!! !